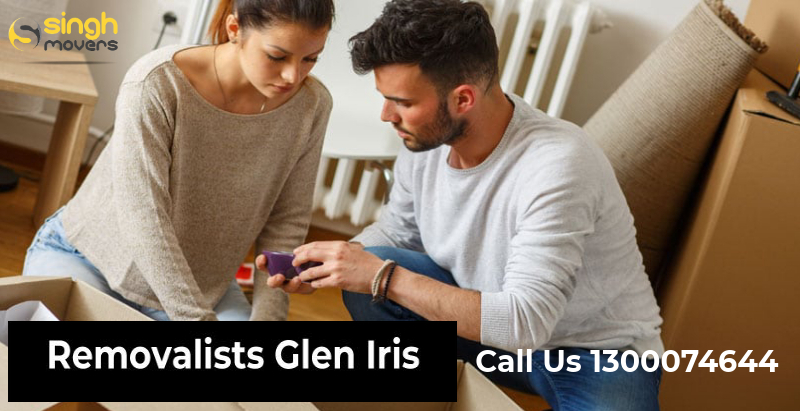 Packing and moving is a very hectic task so it is an effective idea to hire Removalists Glen Iris for your shift. In the digital world, people living a simple and comfortable life. In past days, they suffered a lot while shifting their home. Moving takes a lot of time and needs to get each & everything one needed. The shifting process includes packing, loading, shifting, unpacking and much more. But nowadays, it is very effortless and trouble-free with the help of packers and movers. Packers and movers provide great help in shifting the goods. They are professionals and well experienced in this field. They deal with every need for shifting well. Whatever be the size of the cargo you are carrying, the packers by your side will take it to the next destination perfectly. They move your things with most care. All the furniture removalists companies provide ease and comfort to people in moving things. They are well experienced and have the required tools for the move. At present, there are numerous packers and movers service providers are available. So it is quite a difficult task to pick the best one among the others. One needs to research a lot about the company before hiring. In addition, there are many factors to consider while hiring removalists such as experience, reputation, price, customer review and services they offer. All these factors will aid people to pick the best one. Need to shift your vehicle from and to Melbourne? Searching for best Packers And Movers Melbourne? If yes, then you are at right place. Numerous furniture removalists are available in Melbourne, but Singh Movers are leading and well-known removalists than others. It is because we provide all sorts of relocations services to customers at the best price. We are one stop solution for providing relocating services. Singh Movers is Melbourne Packers and Movers Company who assists customers at a round of clock. All employees are capable to solve any kind of shifting service. We provide only reliable and cost-effective service to our customers. We make your home, office or vehicle shifting as quickly as possible. Singh movers will never ask customers to pay extra money. They provide only reliable and first class service to customers. So you can save more money. The door to door delivery service is only available at Singh Movers. We will charge our customers for the door to door moving process only. We will never ask our valued customers to pay any kind of fuel charges because we are affordable removalists. We provide each and every facility to shift your home without any trouble. We will resolve any kind of relocating process. We not only provide the shifting process locally but also interstate. Therefore if you need local or interstate moving service from us, you can call or mail us at any time when you need. Our professionals are available 24/7 a day to help you. Our team members will treat every customer as their family members. They are polite and dedicated to their work. We make your move with more security by using the various types of professional tools. For shifting pianos safely, we also have ramps and trolleys. So you no need to worry about the damage to your belongings. In the matter of packing and moving goods, you all become stressed. We are there to take away the depression which makes you feel down while relocating. Once we commit with your relocation process then we never step back. As like we shape out each step in a concerned way no matter whether you are asking to move the whole households or else the single thing. We will properly move it without making any damage. In case of the individual good moving process, we scale out the item length, breathe to easily lift and shift. Furniture Removalists Melbourne offers separate fleet for the item like piano and many more. Plus we know how valuable your time is that’s why we offer overnight relocation process. Especially for the industrial move, we follow it as a practice. We never make any hassle also we don’t take much time as well. Your goods will be carried out in the best way right from packing, shifting, uncovering. We never slip from taking care of your goods at any occasion. Even while transmitting as well as our professionals keep an eye on your goods. We always are with you till the end of the process and once after we safely arrange the things we take a break. Singh Movers are insured removal service in Melbourne and its suburbs. Best Removalists Melbourne also keeps your possessions safe but in case any issue happened to your goods then we will take the charge. The items which get damaged will be provided with $100,000. Also for the defeat, we did to the public; we provide the public liability pay up to $10, 00,000. When it comes to cost we never ask you to pay much than the quoted cost. As per we estimated we look for the door to door cost alone. Other than that we never get a single cost. Most of the removal services charge for fuel, depot and include additional cost as well. Unlike others, we stand alone by getting the payment for what we all worked for. There are different sorts of relocations and we acquire that not all clients wish to move things to the destination immediately. In case you want to store the goods then we will be provided with a huge range of storage facility. The overall space is covered with CCTV you don’t want to panic about the safety of your goods. Glen Iris is the suburb of Melbourne which is located in Melbourne, Australia. In the distance of 10 km, this suburb is located to the south-east part of Melbourne’s central business district. The local government areas of this suburb are the Cities of Boroondara and Stonnington. According to the 2016 census, Mount Evelyn had a population number of 25,268. Since 1990’s Glen Iris become Melbourne’s geographical centre of population. Are you looking for trouble-free removal service? We’re the one will offer such service no matter what type of removal is it. With full of professionals and skilful packers and Movers Melbourne, we are specialized in all kind of removal. As like we included various services plus we have several years of experience in the moving business. So no other removalists in Melbourne match with our tendency and work. We try to reduce the cost which you want to spend on relocation. Also, we cover end to end steps need for relocation such as storing goods, packing things and assembling. Likewise, we have a lot of services for you folks. It doesn’t matter whether your destination is far or near we offer efficient service. We’ll provide a transparent quote without hiding anything. You can ask us about the quote beforehand the process. We feel happy to afford competitive cost service to our elite customers. In order to get our service just connect with us and we will explain to you essential things about the relocation.